c) have been around for quite a long time. 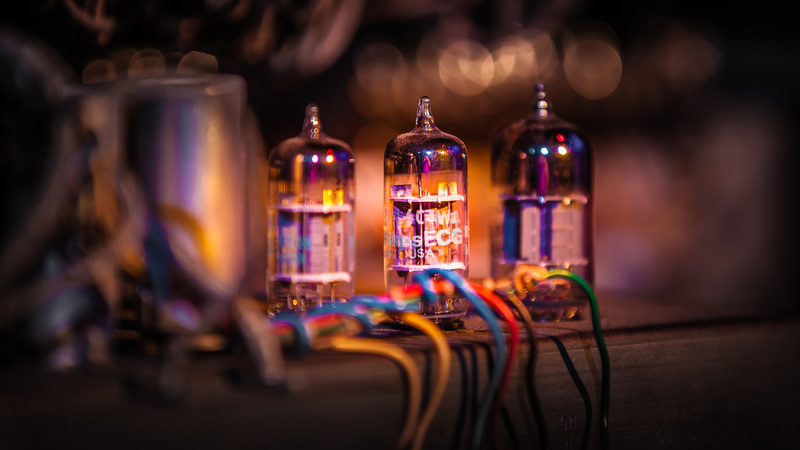 These three little glass tubes are part of the audio amplifier of Lachy Doley’s on stage Hammond Organ and many contemporary musicians will attest are at the heart of the instrument’s rich warm tones. Fifty years ago nearly all our electronic equipment from televisions to radios used them. Today they are almost part of legend. Just for an amusing contrast a modern flagship mobile phone has the silicon transistor equivalent of one billion of these little glass tubes miniaturised in its tiny form factor. Glass vacuum tubes are still made and used today despite our micro-sized transistor marvels and as long as we have musicians, audiophiles and radio frequency engineers they will remain part of the electronics landscape.